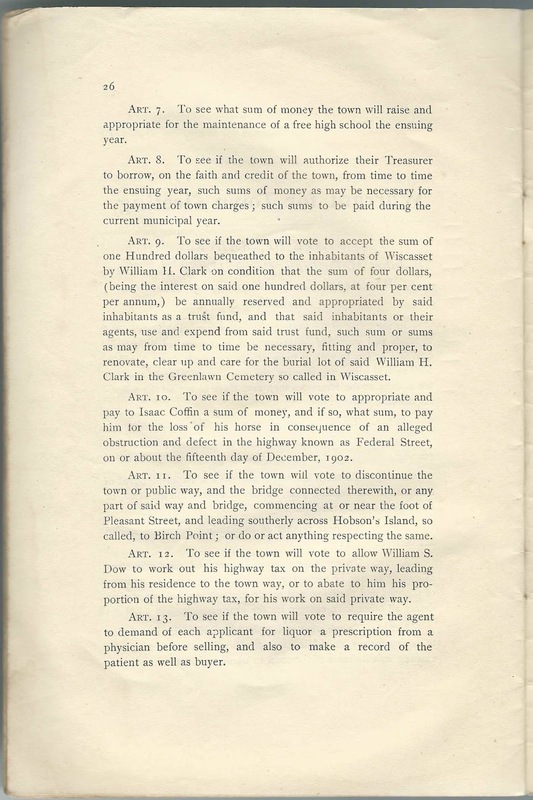 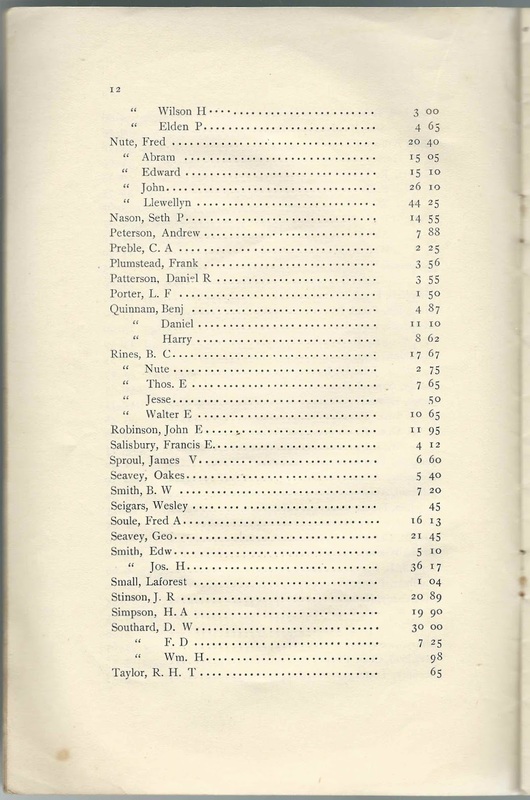 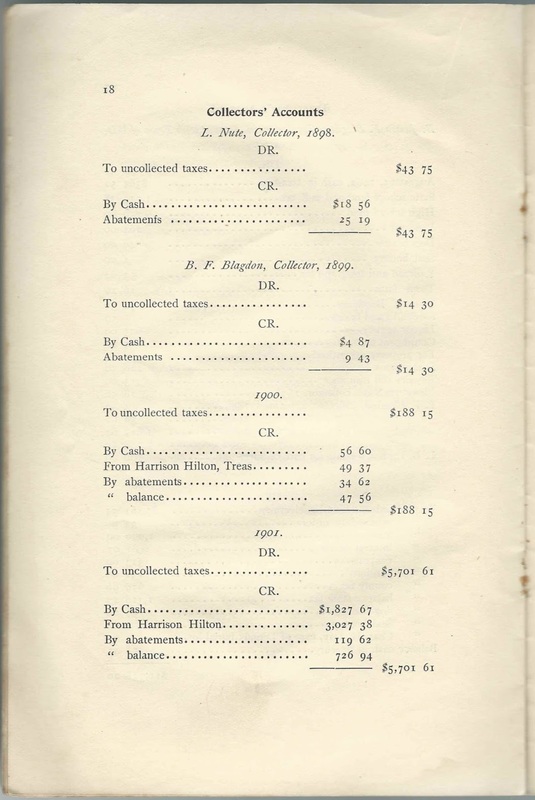 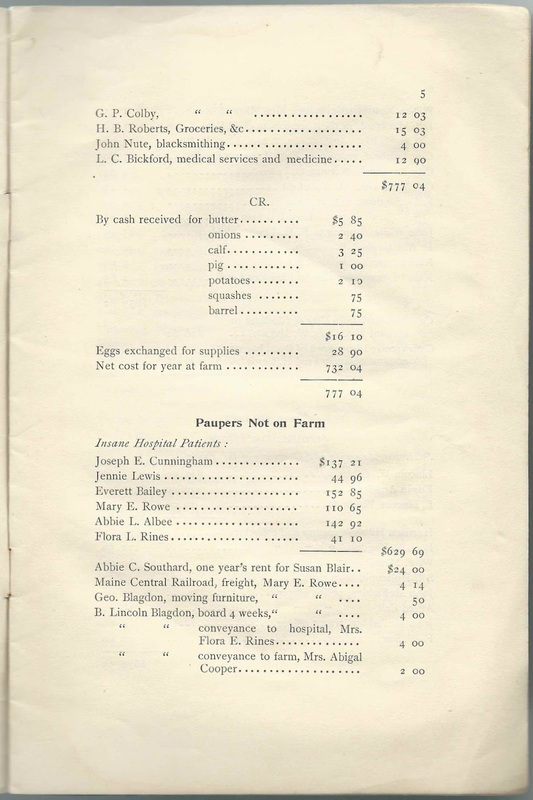 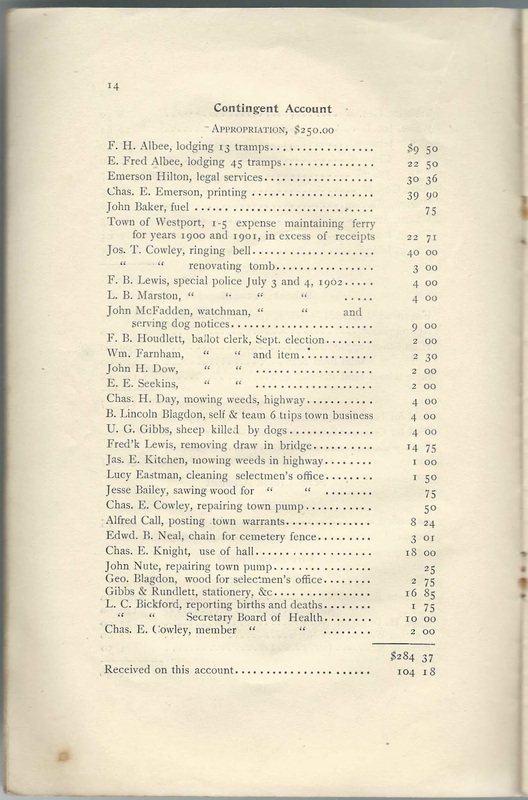 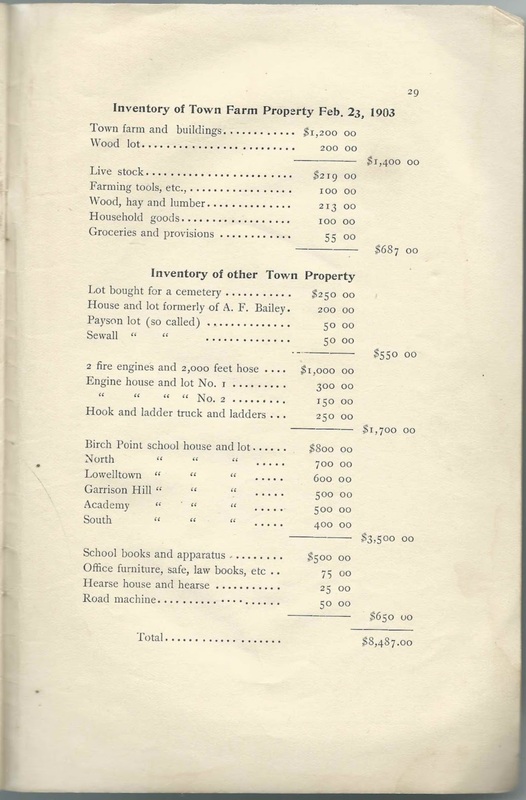 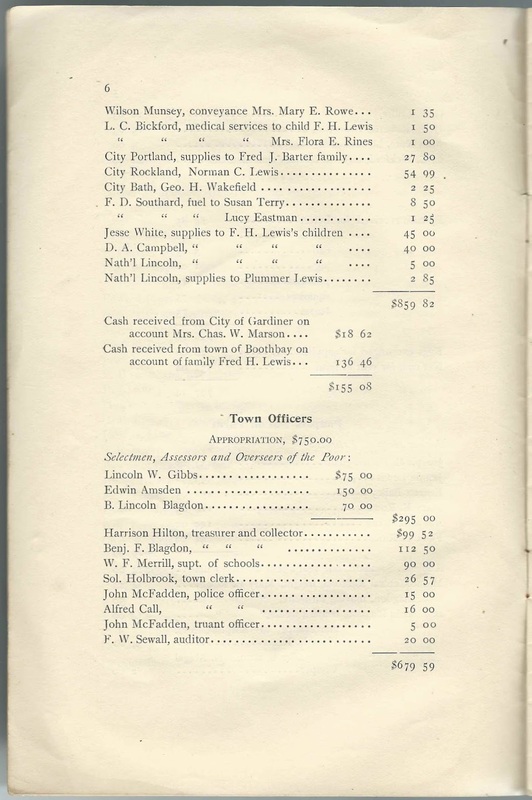 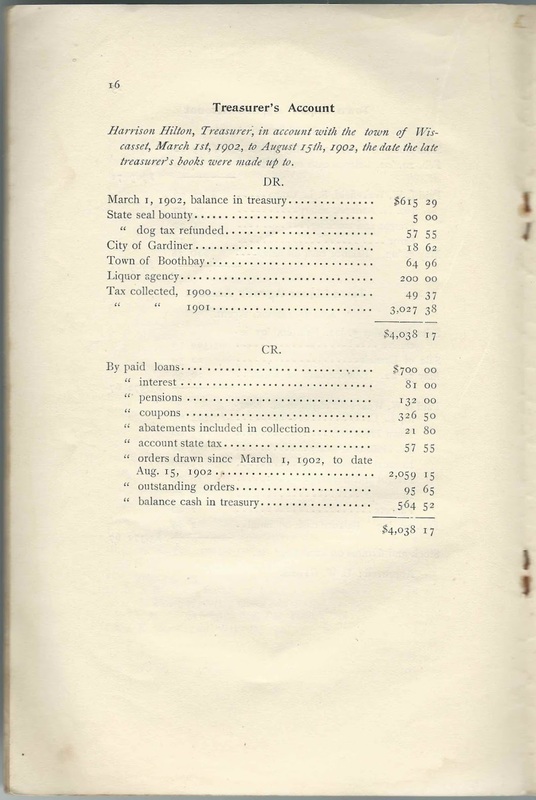 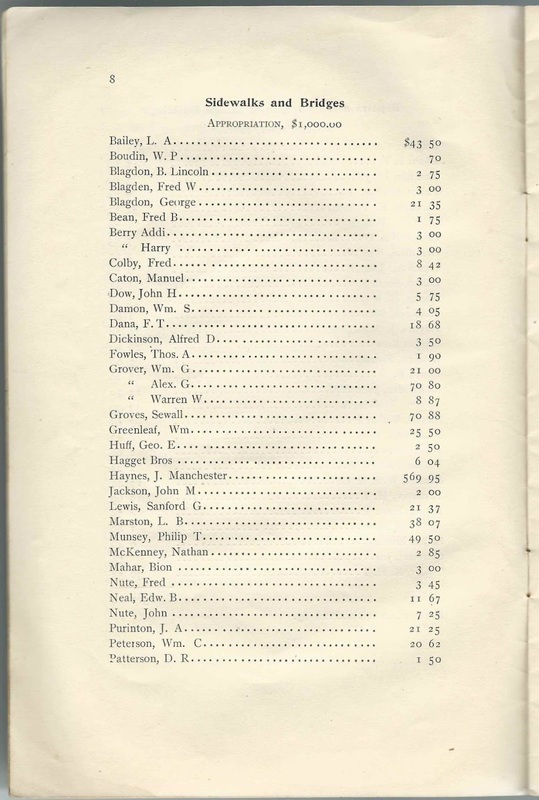 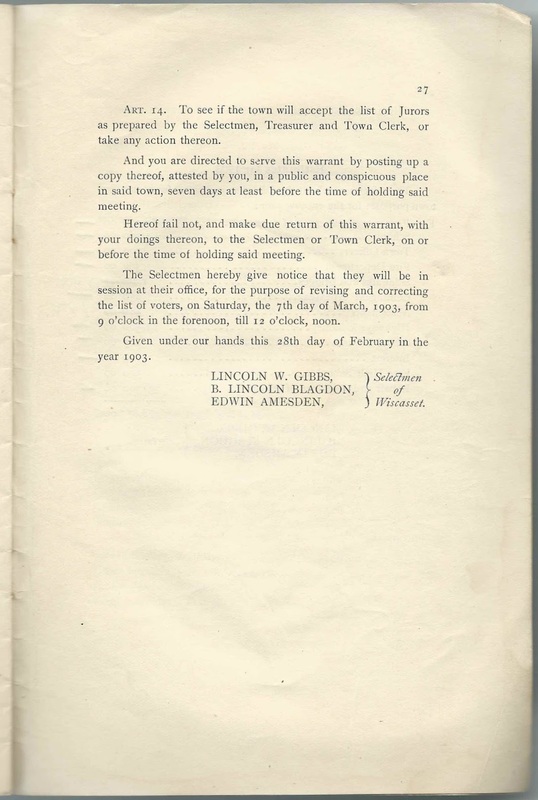 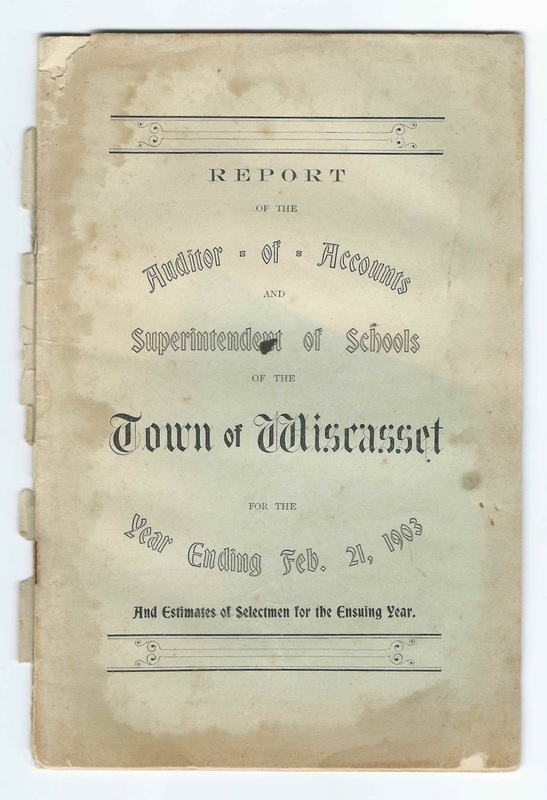 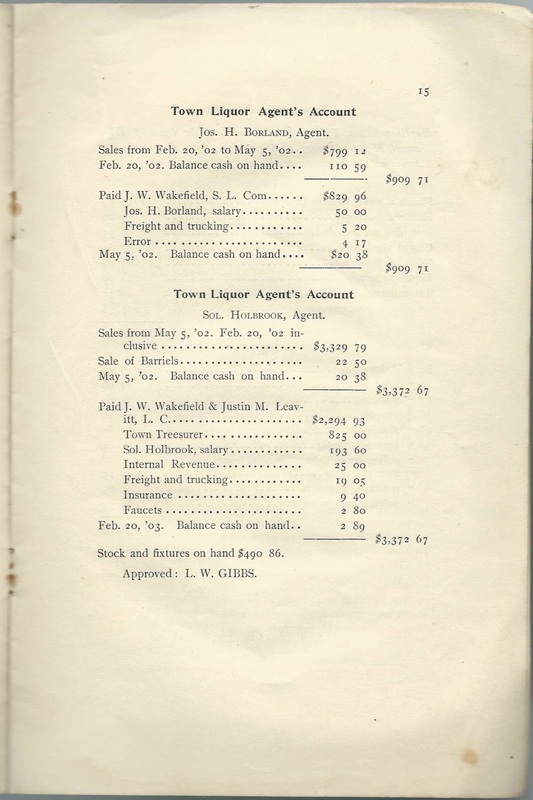 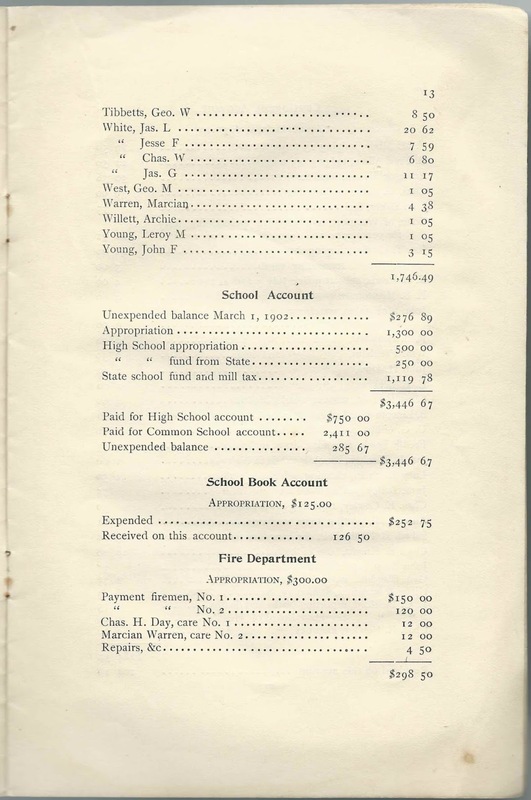 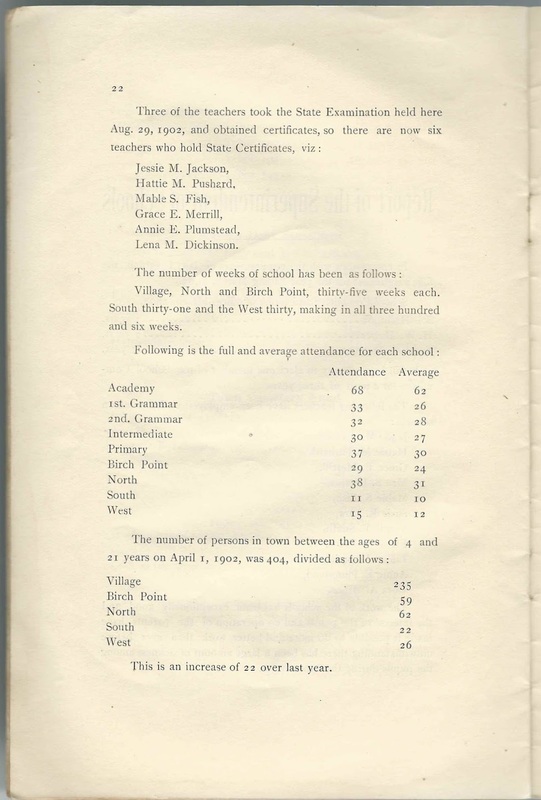 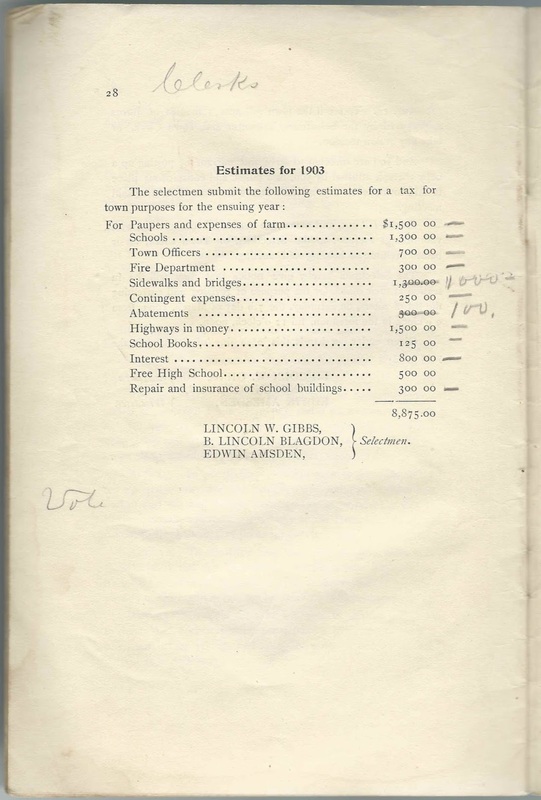 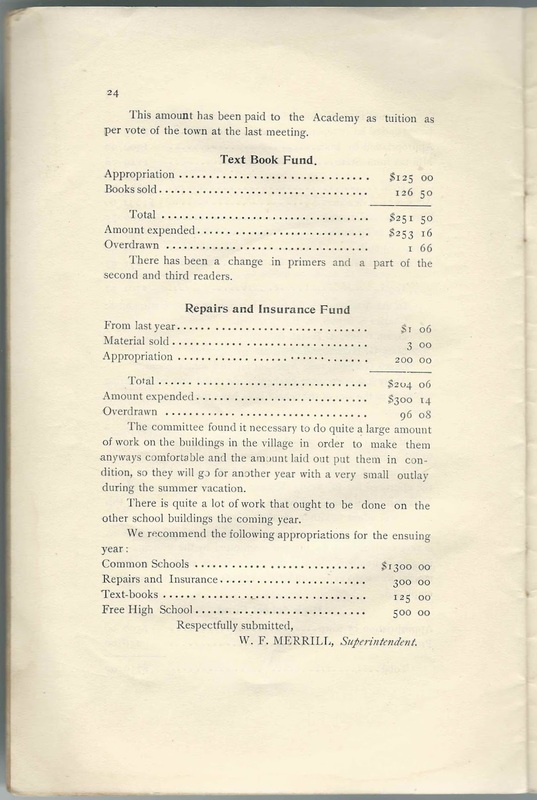 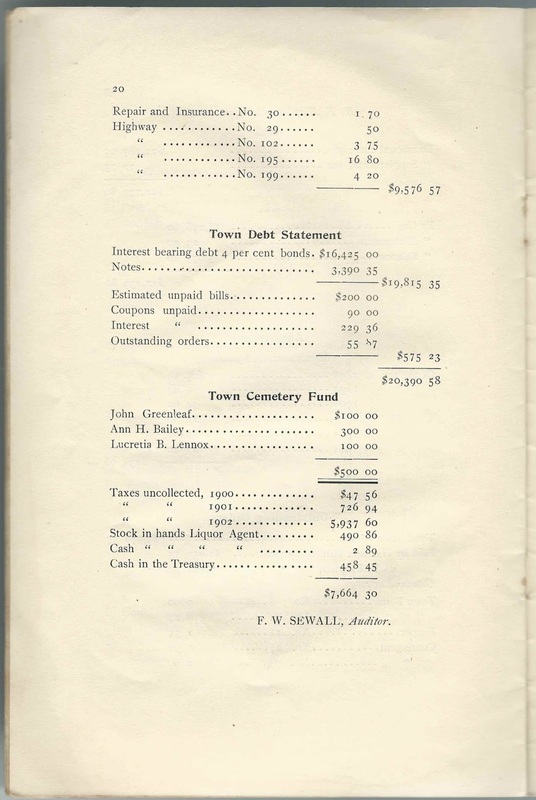 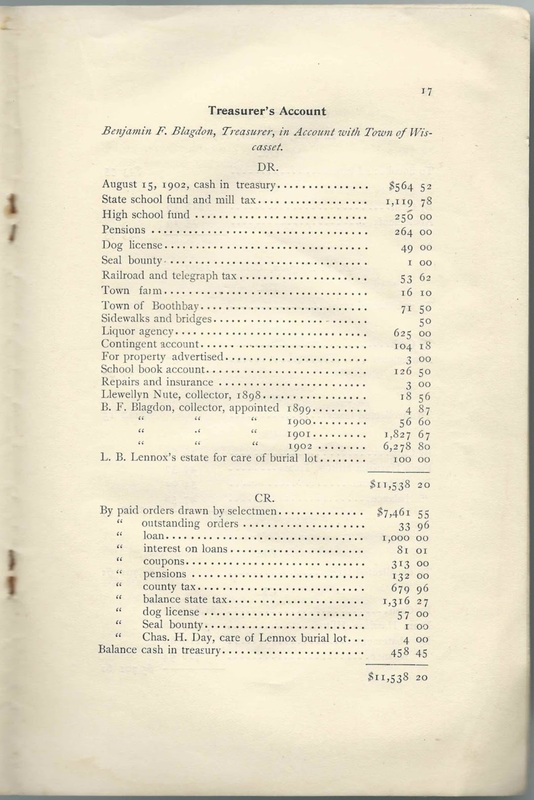 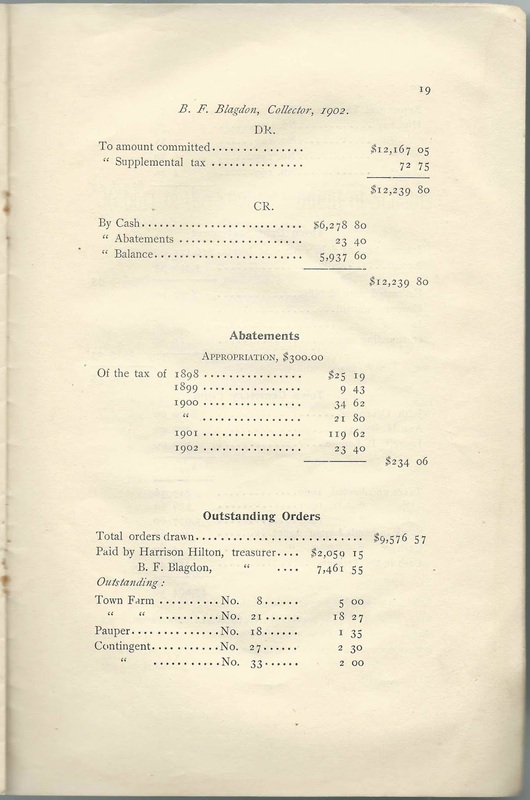 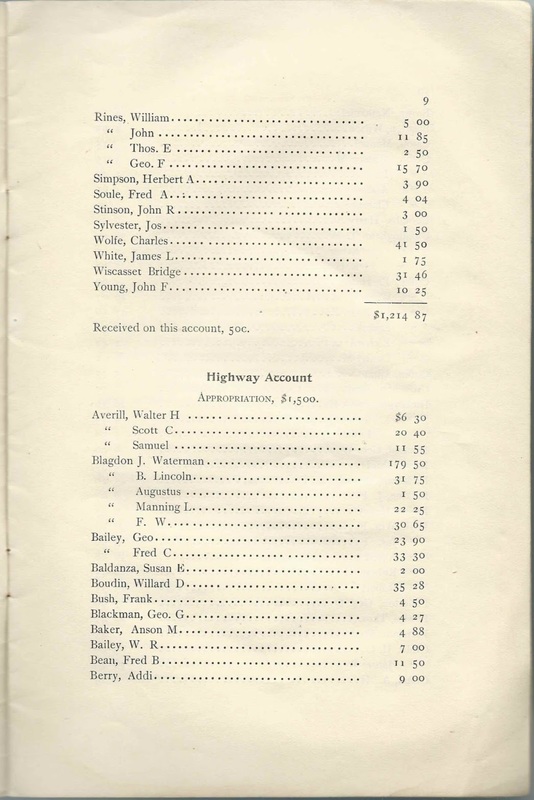 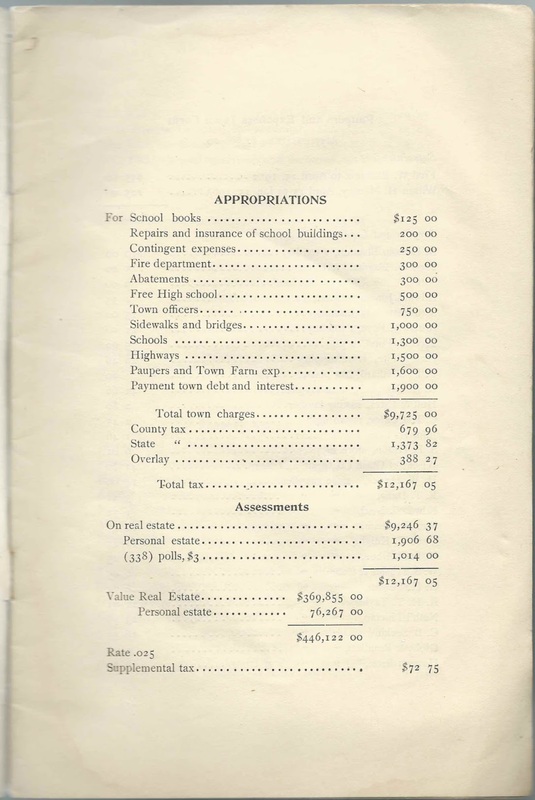 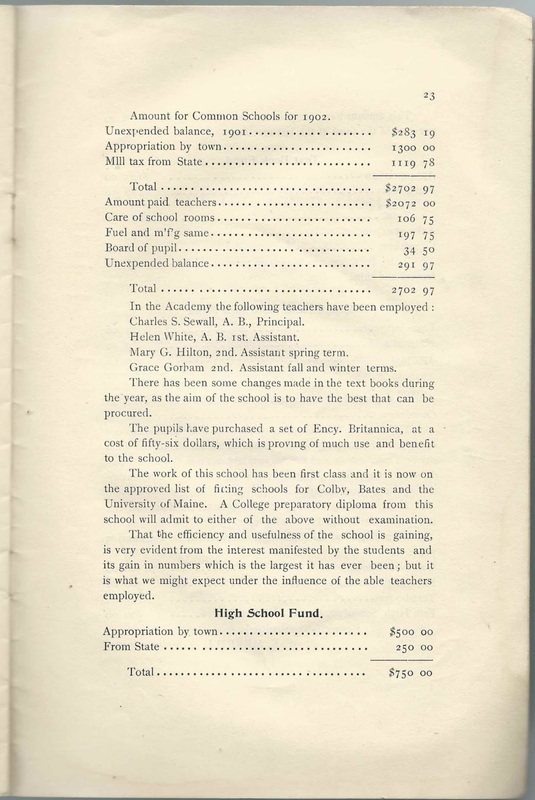 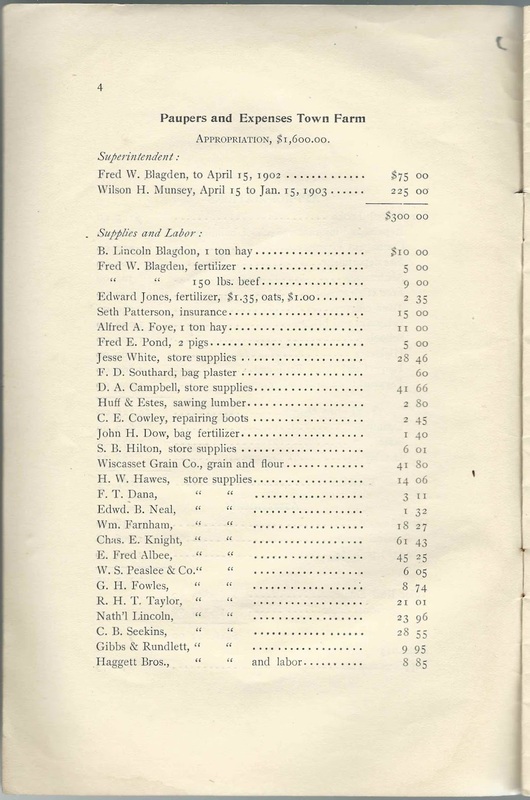 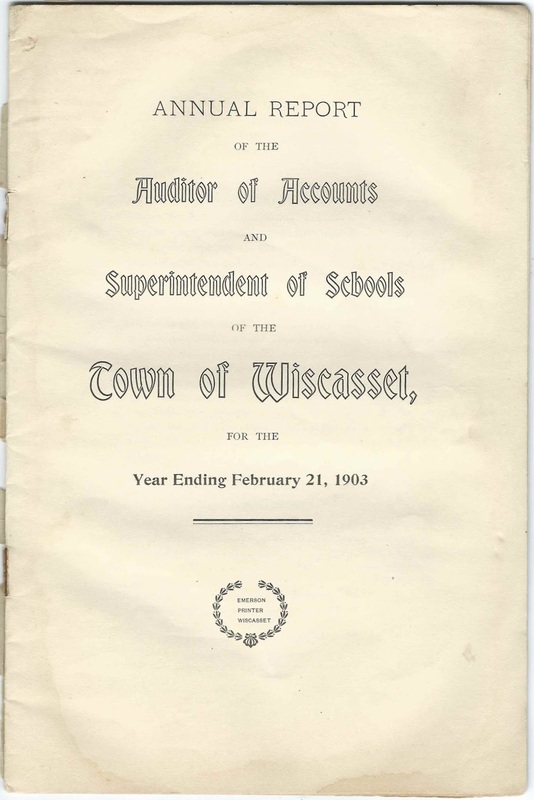 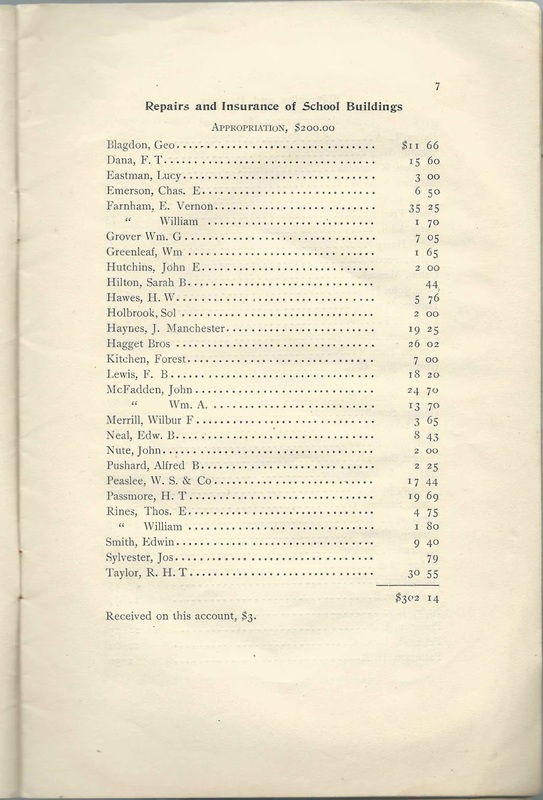 Report of the Auditor of Accounts and Superintendent of Schools of the Town of Wiscasset, for the year ending February 21, 1903, and estimates of Selectmen for the Ensuing Year. 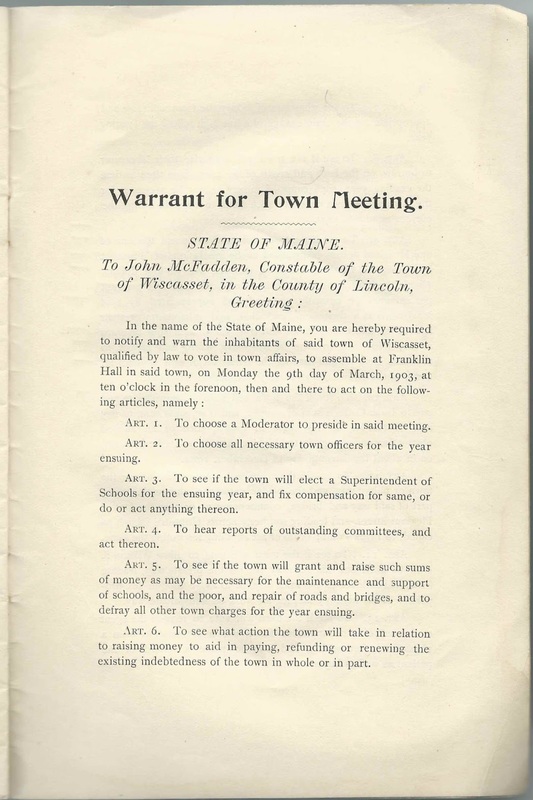 Printed by Emerson of Wiscasset, Maine. 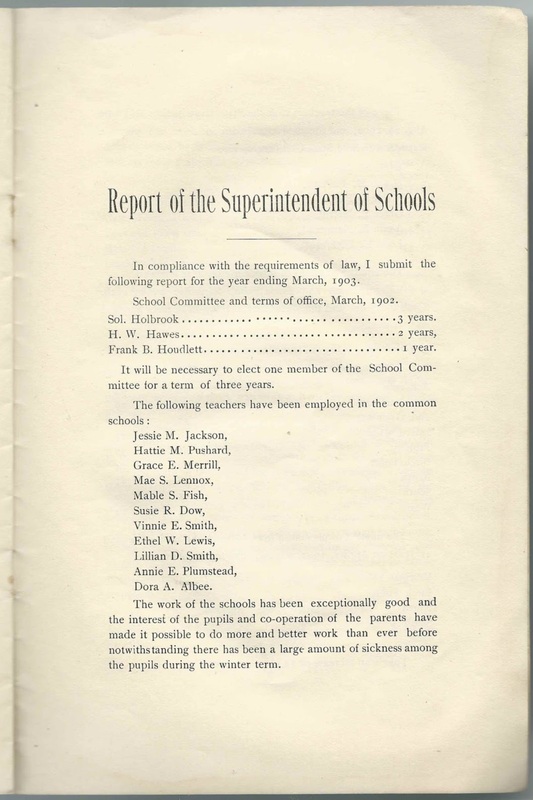 The report contains many names, some of which appear multiple times. 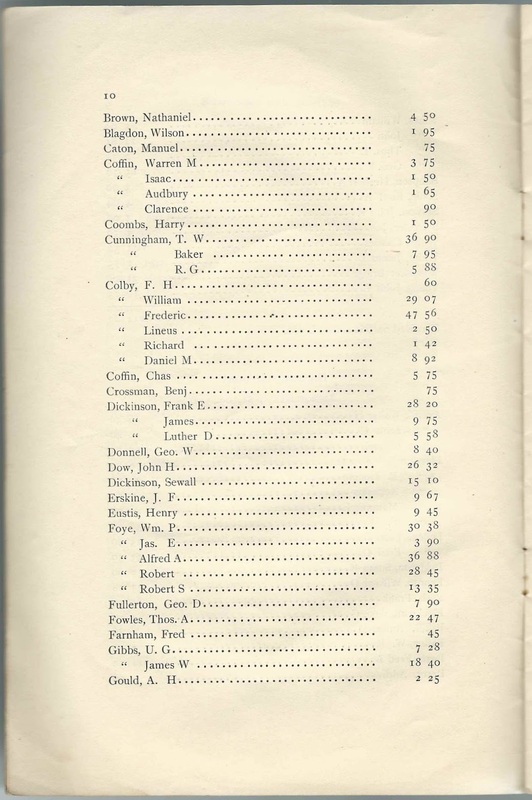 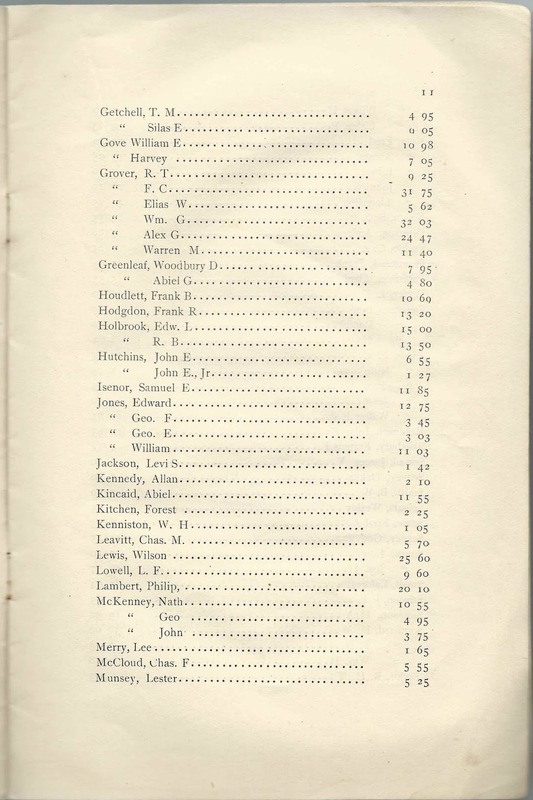 An alphabetical list of the names appears at the end of this post.